I can't even start to describe how much I love them! They are P E R F E C T ! 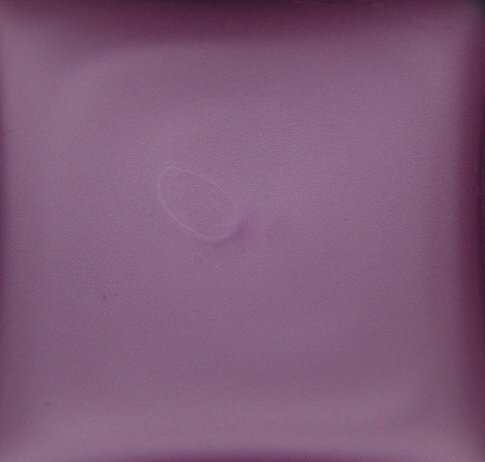 Depravity is matte lilac, it's actually quite hard to tell if it's warm or cold color. On the container it looks cool, but when applied to skin it's more warm. But I do know that it goes really well with my other cream pigments, Dab and Mould! Then I was randomly searching for inspiration from Google, and I saw some looks where airbrush had been used with lace to create different textures. For cheeks I used Illamasqua Morale blusher, and on the lips Illamasqua Cream Pigment Depravity and black pencil as a liner. 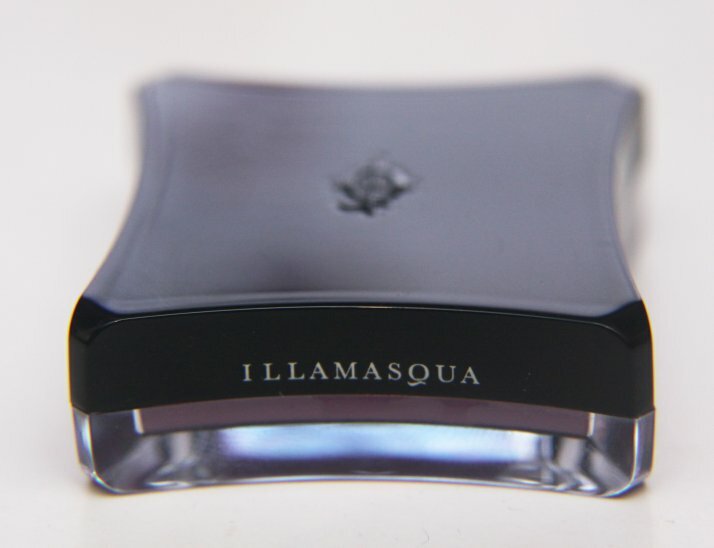 Lashes are of course Illamasqua's Decadence lashes. PS. 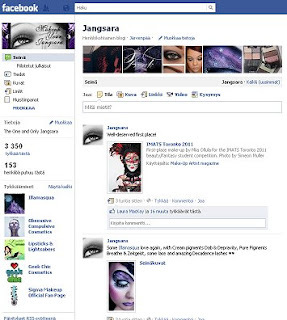 Have I ever promoted my facebook page here? Did you remember to enter to the Illamasqua contest already? Wow! This is amazing! 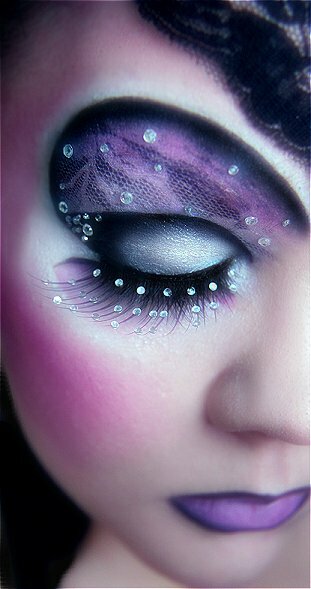 I love those lashes. This is A-MA-ZING!! 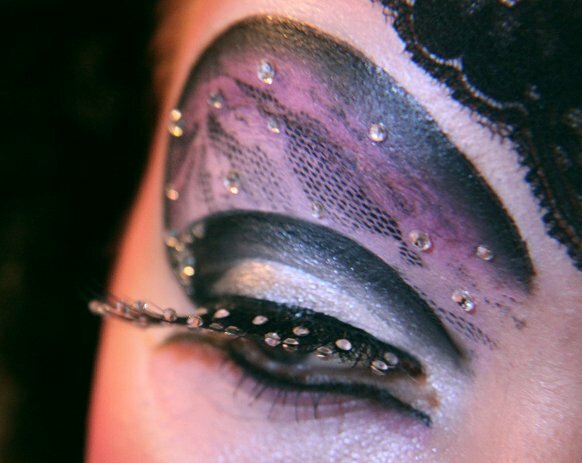 Definitely this is the best make up work I've ever seen! 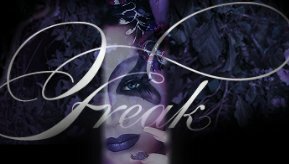 Such a great work...I'm stunned! I'm speechless. 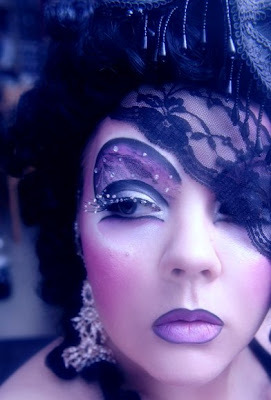 one of the best looks i have ever seen, you are very talented! Holy smokes. Gorgeous!! 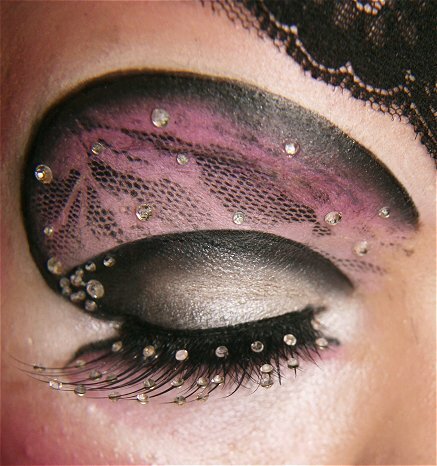 And those lashes are beeeeautiful!!! I love how the lace print came out! Those lashes are gorgeous, too. OMG, amazing as always! 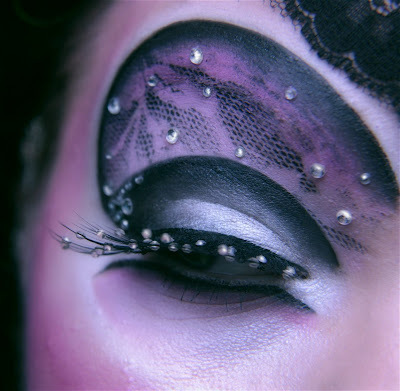 :) You are the most creative MUA I know. You are so talented! I love all your looks. Congrats! 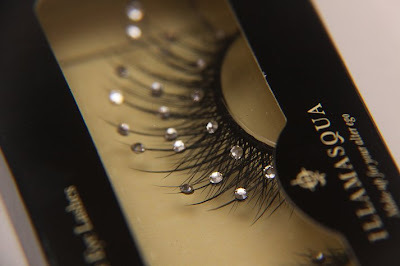 And the lashes are beauty candy *-* love them too! Beautiful, amazing, gorgeous, stunning, everything!!!!! I LOVE it! This is the most amazing look I have seen in months! So fabulous!!! I swear you have magical powers or something. Depravity looks pretty but I think I've seen this color before somewhere? 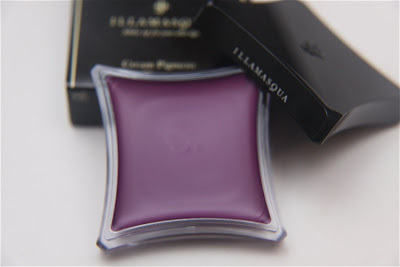 But Illamasqua's definitely a lot more intense especially since it's a cream! 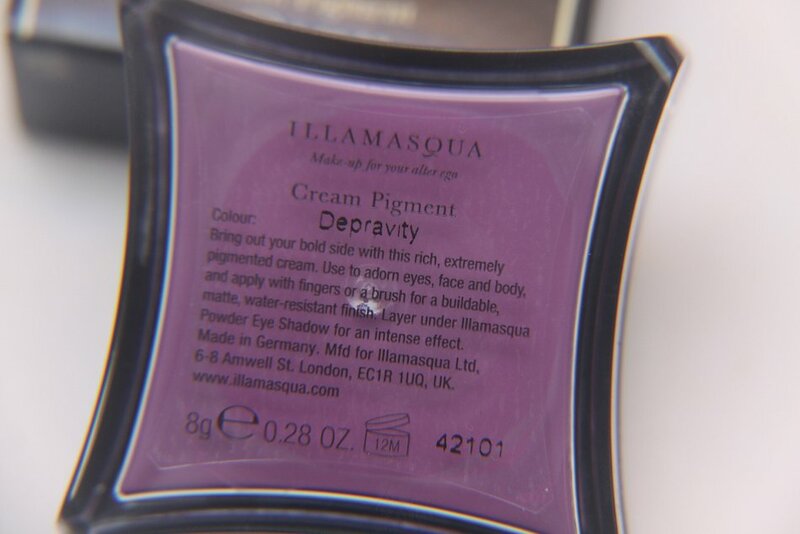 Depravity definitely is more intense though, especially since it's a cream! You are such an amazing talent and a true inspiration!!! This is so beautiful, it takes my breath away!